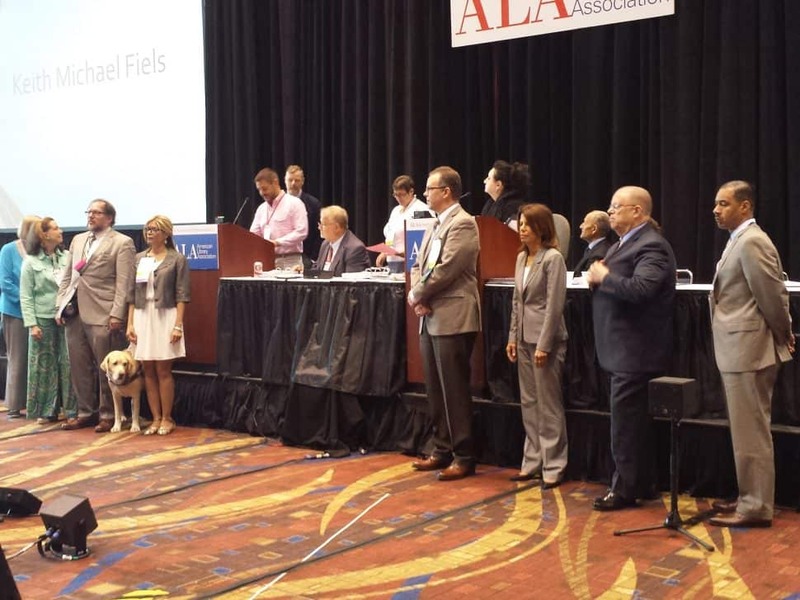 ALA Executive Board members read a tribute to retiring Executive Director Keith Michael Fiels (seated). 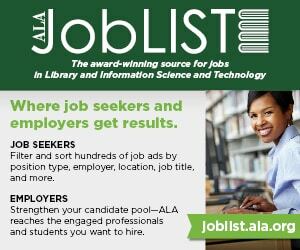 American Library Association (ALA) President Julie B. Todaro called the second council meeting to order at 8:30 Monday morning. Councilor Vivian Bourdeaux, chair of the Council Election Tellers Committee, reported on the election of new representatives to the Committee on Committees (COC) and the Planning and Budget Assembly (PBA) (CD#12.3). Elected to 2017–2018 COC are Ismail Abdullahi, Roberto Carlos Delgadillo, Martin L. Garnar, and Eboni Henri. Elected to the PBA as chapter councilors for 2017–2019 are Jennifer Ferriss, Danielle Jones, and Vivian McClain; elected as councilors-at-large for 2017–2019 are Tyler Dzuba and Maria Taesil McCauley. Melissa Cardenas-Dow was elected to a one-year term as councilor-at-large. Chair Pro-Tem Garnar then gave a report from the Committee on Diversity (CD#44). A motion on Definitions of Equity, Diversity, and Inclusion (CD#44.1) and a Resolution on Libraries as Responsible Spaces (CD#44.2) passed. Councilor Christopher Corrigan reported on the Policy Monitoring Committee (CD#17.1). A motion clarifying the education requirements for future ALA executive directors in the ALA Policy Manual passed. Chair Sue Considine reported on the Committee on Organization (CD#27.1). 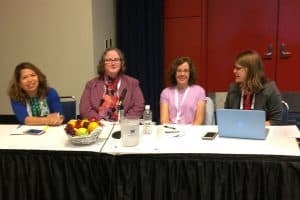 A resolution changing the name of the ALA Website Advisory Committee to the ALA Information Technology Advisory Committee passed. Leslie Burger provided updates from the International Relations Committee (CD#18.1–18.2), including the 2017 International Federation of Library Associations and Institutions coming in August in Poland, the Sharjah International Book Fair in November, and the 2018 ALA trip to Cuba, which will be unaffected by recent changes in US policy. 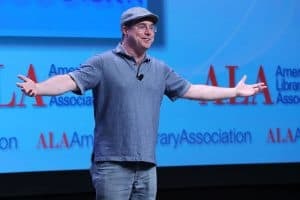 Burger reported that 475 librarians from 59 countries were attending this year’s Annual Conference. In his report as president of the Freedom to Read Foundation (CD#22.1), Garnar noted that today is the 20th anniversary of the Supreme Court ruling striking down the Communications Decency Act. He also provided updates on existing and new legislation issues, strategic planning, educational efforts, and Banned Books Week. 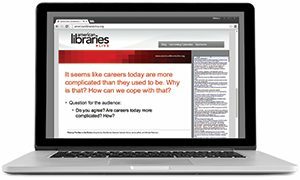 ALA Center for the Future of Libraries Chair Susan Kent reported on the center’s activities and growth (CD#39), including information on its online trend collection and Read for Later newsletter. Conference Accessibility Task Force co-chairs Mike Marlin and Corrigan presented their report and recommendations (CD#37.1) for accessibility improvements at upcoming conferences. Some recommendations, such as an accessible ride service and quiet domes in the exhibit hall, have already been implemented. Fiels reported that there were 16,003 paid attendees and 6,588 exhibitors, for a total of 22,591 attendees in Chicago, compared with 15,359 in Orlando in 2016 and 22,136 in San Francisco in 2015. Todaro adjourned the meeting at 11:15.